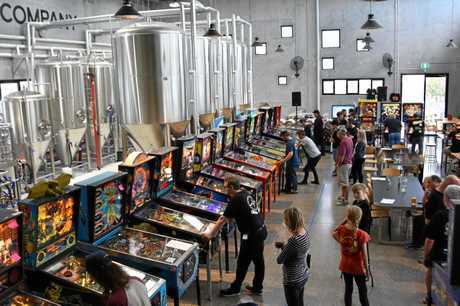 LAST weekend Land and Sea Brewery hosted the first AMD Noosa Festival of Pinball, which attracted top-ranked flippers. 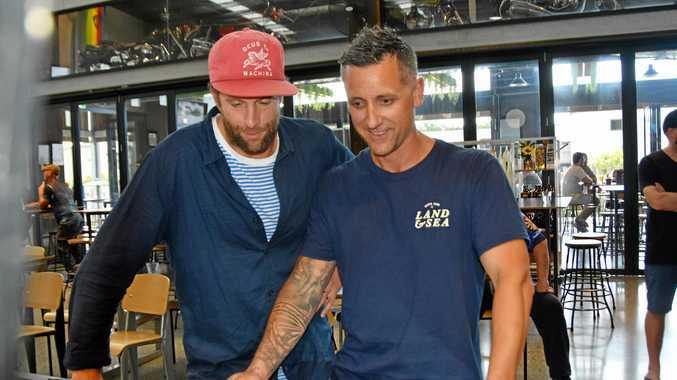 More than 70 players competed in the three-day tournament that brewery owner Tim Crabtree said was an idea that escalated into something much bigger. 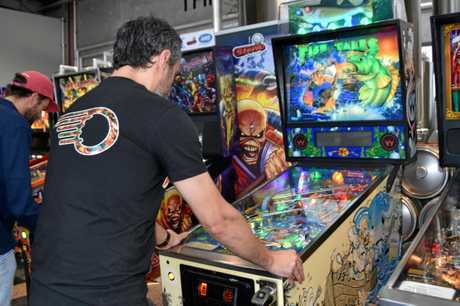 "It's the biggest pinball competition ever on the Sunshine Coast and probably one of the biggest in Australia,” he said. Game faces were strong as fierce competitors battled it out across 21 machines, using their best flipping skills to take the top spot. Sunshine Coast Pinball Club player Zack Foster, 16, won the event after defeating veteran NSW State Champion Corey Hamilton. Festival organiser Vaughan Jones said it was a very impressive finale. "Zack posted a massive 200,000,000 points on his second ball to secure the win,” Mr Jones said. "Players came from all over Australia to challenge our local talent and it was great to see Zack defend so well. 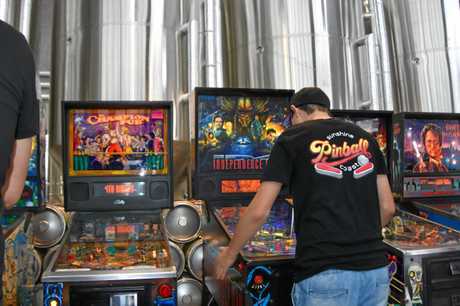 Land and Sea also released Pinball Wizard beer to coincide with the competition. Mr Crabtree said the event lent itself to the ethos of the brewery and they hoped to make it an annual event. "We had a lot of people come in to check it out and we think it complements beer quite nicely,” he said.